Club Aliante - This is a jewel! Don't miss out! 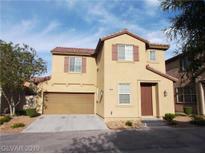 MLS#2070537. Realty ONE Group, Inc.
Centennial And Novak - Community parks are part of the Centennial and Lamb HOA. MLS#2069752. Opendoor Brokerage LLC. 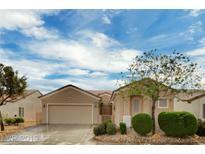 Cheyenne Plateau - Seller will include a Home Warranty and 3 Months Pool Service at Close of Escrow! MLS#2070519. Addicted Realty LLC. Aliante North - Upstairs has a media /theater/or whatever you would like room, make it your own and enjoy. Come check this Beauty Out! MLS#2070209. eXp Realty. Allen Manor - Beautiful SOUGHT AFTER ALL SINGLE STORY COMMUNITY*GATED*CLOSE TO SCHOOLS & SHOPPING*3 CAR + GARAGE*3BDRM*LARGE DEN (COULD BE 4TH BEDROOM)*CENTRAL VACUUM*SURROUND SOUND*BLINDS*CEILING FANS THROUGHOUT*TILE*VAULTED CEILINGS*POT SHELVES*STUBBED BBQ STAYS*FIREPLACE*EAT IN KITCHEN*ISLAND*WALK IN PANTRY*BREAKFST BAR*GREAT ROOM*DOUBLE DOOR MASTER*SEPERATE JETTED TUB*GLASS SHOWER*DOUBLE SINKS*WLK IN CLOSET*LAUNDRY WITH EXTRA STORAGE SHELVES & CLOSET*SHOW! MLS#2069962. eXp Realty. Ann Losee Village - Roof and structure still backed by the builder for 8 more years! 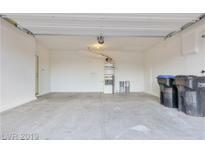 MLS#2070299. Realty ONE Group, Inc.
Centennial Bruce - A park is part of the HOA. 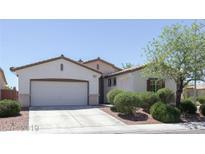 MLS#2067814. Opendoor Brokerage LLC. Centennial Bruce - Great Two Story Home In Gated Community***3 Bedroom, 2 1/2 Bath**open Plan**built-in Office At The Top Of The Stairs***large Master With Walk In Closet ***master Bath Has Dual Sinks And Separate Shower/Tub** Conveniently Located To Shopping, Banks And Restaurants*** Large Community Park Across The Street With Playground MLS#2069076. Urban Settlements. Nelson Ranch - There is also a clubhouse with community pool available! 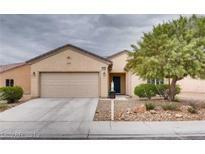 MLS#2069828. Coldwell Banker Premier. Centennial Bruce - Large Back Yard Awaits Your Imagination! MLS#2069518. United Realty Group. 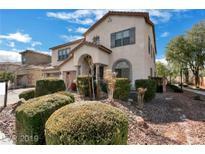 Cove At Aliante - Gorgeous back yard w/ covered patio & no rear neighbors. All appliances included! MLS#2069143. TR Realty. Listed at fair market value. Must see to appreciate. MLS#2065924. Rossum Realty Unlimited. Gorgeous Single Story Home in Club Aliante!Guard Gated on the Golf Course.Brand New Top of the line stainless steel appliances,Granite & Island.Upgraded tile,Freshly Painted,Brand New Surround Sound & fire place.Private master suite and spa-like bath.Professionally Landscaped w/ putting green,cvd patio,gazebo,paver patio & walkways.3 car garage,Water softener/water heater.Great community w/ pool,clubhouse,tennis courts,basketball,playground &gym. MLS#2065683. Keller Williams Southern Nevada. 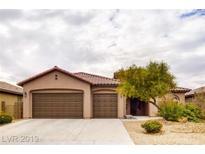 Sun City Aliante - This is a must see and will not last. Highest and best offers. MLS#2067711. Xtreme Realty. 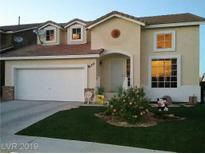 Arroyo Grande - Great location near shopping, parks and schools. MUST SEE! MLS#2064855. Realty ONE Group, Inc.
Ann & Allen - Home comes with a 30-day buyback guarantee. Terms and conditions apply. MLS#2066420. Opendoor Brokerage LLC. 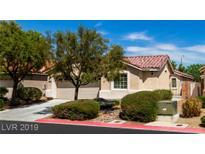 Ann Goldfield - Close to the walking trail that is part of the HOA! MLS#2066591. Movoto, Inc.
Cambridge Heights - Great first home or investment property. MLS#2066822. Century 21 Gavish Real Estate. 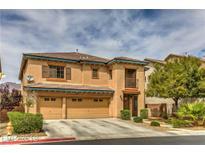 Community Center, golf, entertainment, freeway access just minutes away. Don't miss out! MLS#2066336. BHHS Nevada Properties. Amarillo - Upgraded cabinets, SS Appliances. Large backyard, no neighbors behind. MLS#2066721. Realty ONE Group, Inc.
Ravenna At Aliante - Close to parks, volleyball, tennis & basketball. Refrig, washer & dryer Incl. MLS#2065536. Coldwell Banker Premier. Enjoy resort style living in beautiful guard gated Club Aliante.Features crown molding, plantation shutters, upgraded flooring & central vacuum.Exterior painted 2018.Three bed, three full baths, separate office, full chefs kitchen & ceiling fans throughout.Professionally landscaped backyard has mountain & golf course views, hot tub hook-up, fire pit & a lazy river water feature.Community offers pool, spa, gym, tennis, & basketball courts. MLS#2065790. WHS Real Estate LLC. Home Is Offered With All Appliances, Ceiling Fans, Built In Natural Gas Bbq, And Covered Patio. MLS#2066142. Cline Realty. Arroyo Grande - Nicely kept lawn in front! 2 Car Garage! MLS#2065489. Wardley Real Estate. Centennial Azure - Family room located at the back of the home . Community park with playground. MLS#2065792. Home Realty Center.